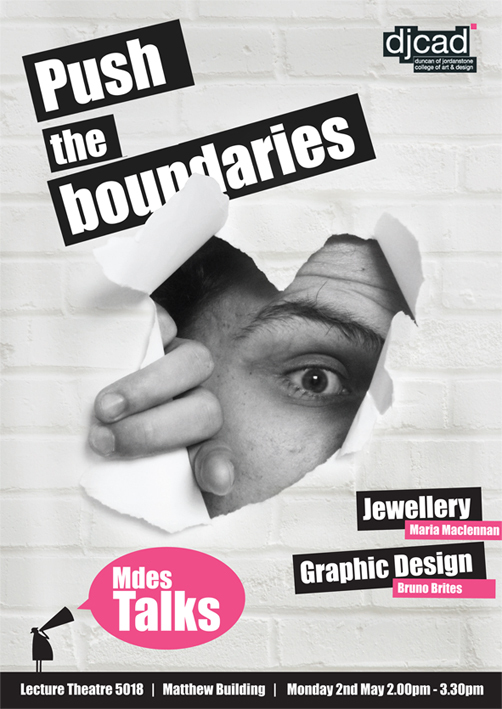 Master of Design students Bruno Brites and Maria Maclennan are pushing the boundaries. They are giving a public lecture on their transition from Jewellery and Graphic Designers to co-designers of Forensic Jewellery Identification systems and Communication systems for people without sight. Monday 2nd May, 2.00-3.30pm, Lecture Theatre 5018, Matthew Building, DJCAD, University of Dundee. All welcome.